Feb 28, 2013 If you can contact us directly we'd be more than happy to help you with your situation. You can contact us via phone, 877-869-3310, or by email support@instaflex.com. 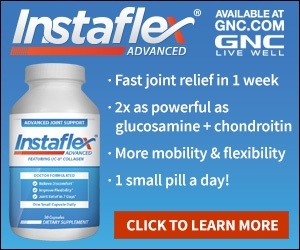 I ordered instaflex and did not receive it i then called them and informed them that i did not receive it so i then reordered it then i was auto shipped before 18 days of me receiving the product. i then called to cancel my auto ship and to get a refund.the rep starts going down on the price all the way to 29 dollars i then decided to try the product because of the price and agreed to the 29 dollar charge,but then i started doing some research on this product ,and found that there were substantial negative complaints so i decided to ask for the full refund back ,but the rep told me that i couldn't get a full refund back so i asked to speak to a manager she told me that she didn't have a manager then i asked to speak to her boss she told me she don't have one so i implied that this must be a rip off. Review #304813 is a subjective opinion of LEAD BELLY. Customers can always return product for a refund. If you would like to return your bottle for a refund just send us an email at support@instaflex.com and we'd be glad to give you return instructions.